Bubby and Bean ::: Living Creatively: SUMMER CELEBRATION GIVEAWAY /// Win a Package of 8 Prizes Worth $180! 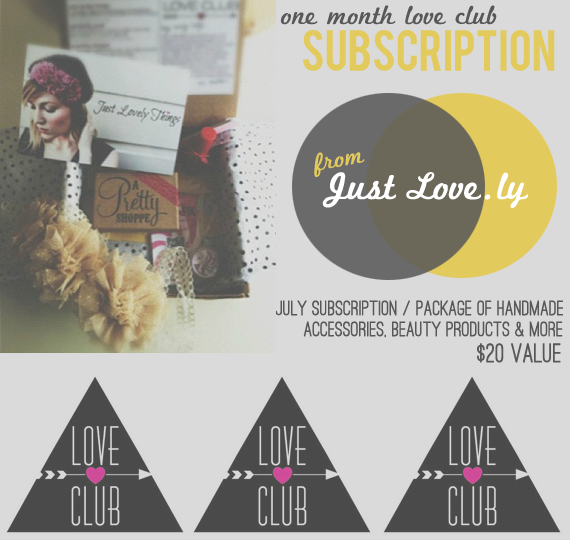 SUMMER CELEBRATION GIVEAWAY /// Win a Package of 8 Prizes Worth $180! Then just leave a comment telling us your favorite way to celebrate summertime. That's it! 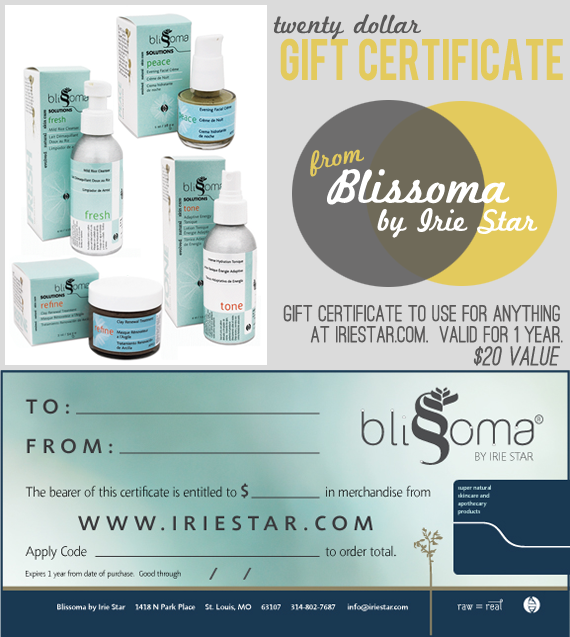 Visit any of the shops from this giveaway (Epic Thread // Ciera Design // Love Club // Blissoma by Irie Star // Little White Chapel // Earl Grey // Roots and Feathers // Row House 14) and list your favorite item(s). Follow/subscribe to any of the blogs from this giveaway (Row House 14 // Violet Bella // Earl Grey // Little Nostalgia // Irie Star: From the Bathtub // JustLove.ly // Ciera Design // Epic Thread). This giveaway is open through July 2nd. 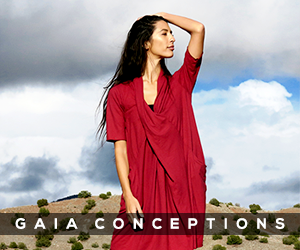 The winner's name will be chosen randomly and announced soon after. Thanks again to the amazing Bubby and Bean sponsors who donated such rad prizes! UPDATE: This giveaway is now closed. Please check back soon to see if you won. For me the best way to celebrate summertime would be riding with my bike, feeling the wind and enjoying sunsets. I was thinking about bikes and sunsets too! I think for me that is the best thing about living by the ocean- a summer bike picnic to the beach for sunset and a bonfire...then riding home in the moonlight. The best! Best way to celebrate the hot season is going swimming and then enjoy a big ice cream! I love to have lots of sleepovers!! I follow you via bloglovin too!! I follow row house 14!! i follow justlove.ly via bloglovin! 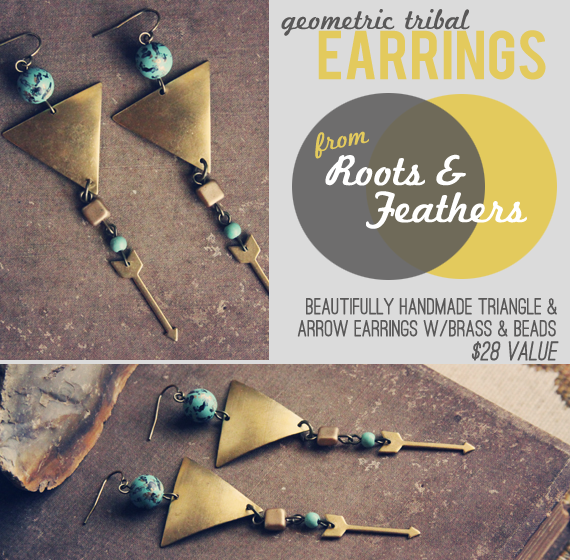 I love the Larkin earrings from roots & feathers!! I sooooo love the headdress from epic thread!! I love the travel themed craft kit from ciera designs!! I love celebrating summer with swimming and snow cones! The stress relief serum from blissoma looks good!! I love little white chapel's bridesmaids purse!! I adore the red dress from earl grey!! 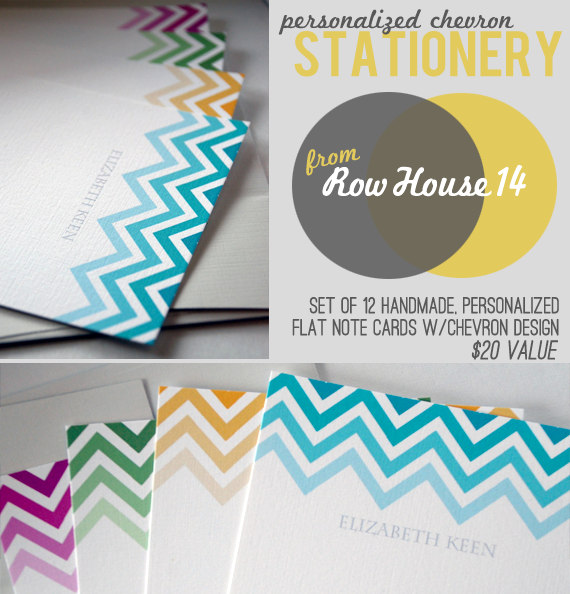 I like the chevron blank thank you card from row house 14! following via GFC! and my favorite way to celebrate summertime is with good music, good friends & lots of picnics. i follow bubby & bean on pinterest! Thanks for this great giveaway! My favorite way to celebrate summer time is riding my bike near the beach seing the sea. I am a GFC follower. My favorite summertime thing is a lot of outdoor activity balanced by a lot of cold delicious summer fruit! I am following on Twitter (as pixiepineblog). I LOVe the brown floral embroidery hoop from Earl Grey! I follow Violet Bella on bloglovin! Hi! I follow/subscribed to your blog! Already follow you on Bloglovin' ! I already follow along and my favourite things about summer are chocolate covered ice lollies!! Being outside with my fam and frands grilling out. I have been a follower of you blog! Thanks for always being so real. I love this earring holder from earl grey shop: http://www.etsy.com/listing/102454015/embroidery-hoop-earring-holder-floral?ref=v1_other_1. Holy wow what an amazing giveaway! I am celebrating summer by spending more time with friends and family. Life is lovelier when you're surrounded by the ones you love! 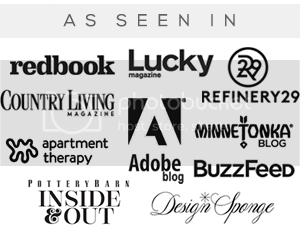 Plus, I am already following my fellow Boston Blogger Ciera Designs!! Thanks for hosting a great giveaway! already subscribed and follow via google reader :) my favorite way to celebrate summer is by attending any sort of music festival! music makes everything better. I love spending my summers with the people I love, doing fun stuff like riding bicycles, going to concerts, having lovely outdoor partys, taking pictures, basically living each day fully and enjoying the beautiful weather, gosh I luv summertime! I love Earl Grey's Vintage Mod 1960's Floral sleeveless dress. Too cute! My favourite way to celebrate summer is by drinking mojitos on a patio. Yum! 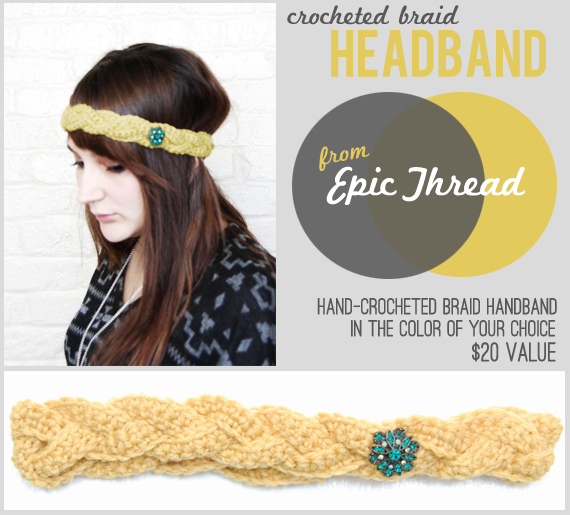 I like the mustard crochet hat from Epic Thread! 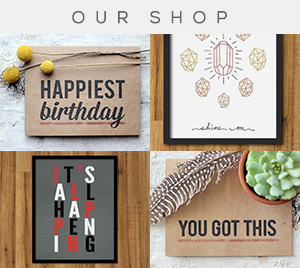 I like the chevron thank you round stickers from Ciera Design! I'd love to try a Perfectly Posh product from the Love Club! The backyard bliss sprayable lotion from Blissoma seems like a great product! 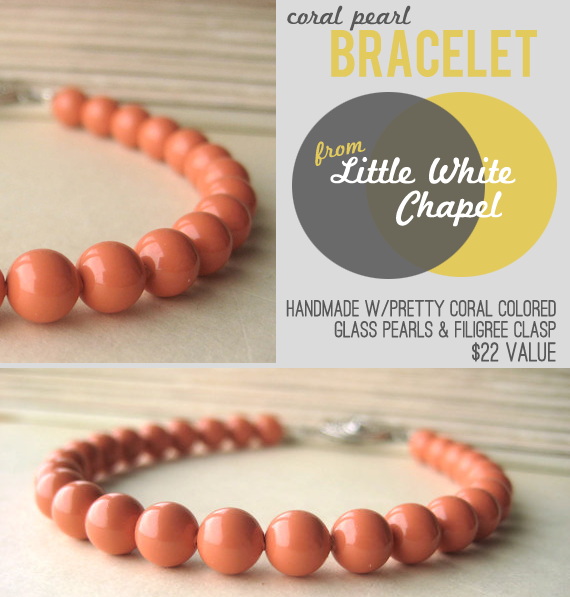 I love the pearl cluster necklace from Little White Chapel! The soy vanilla candle in the vintage glasses from Early Grey is such an adorable idea! Love! The seaya necklace from Roots & Feathers is so pretty. I love the flower thank you notes from Row House 14. I follow Violet Bella with GFC! 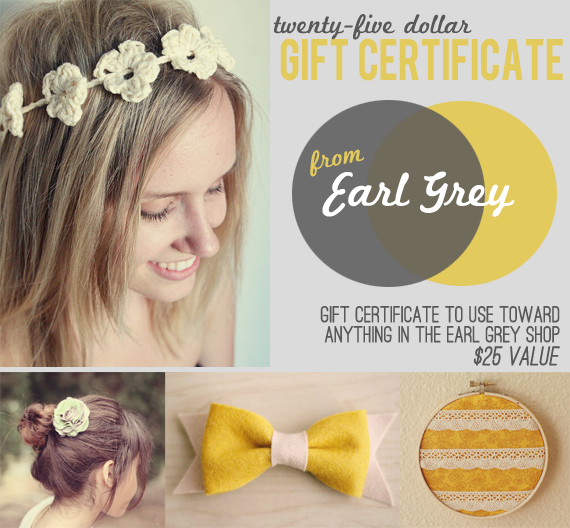 I follow Earl Grey with GFC! I follow JustLove.lythings with GFC! 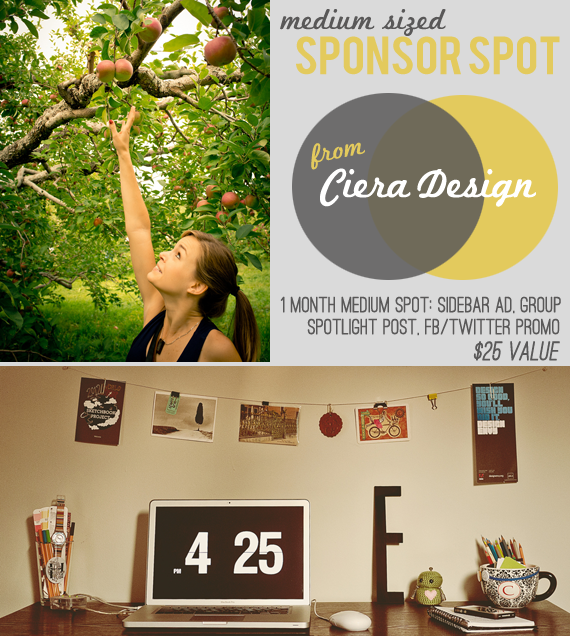 I follow Ciera Design with Bloglovin! I love having picnics by the lake and I follow you via google reader. Whoa, what an amazing prize! Just found your blog and subscribed to your reader :) My favorite way to celebrate summertime is to just relax, see friends, travel and photograph a lot! I also liked Bubby & Bean on facebook as my blog's page "cute & cool creations"
I'm also a reader of Violet Bella! I love to celebrate summertime by spending as time outside as possible! Following your blog through google reader. 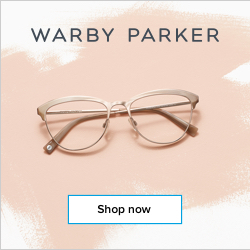 I follow Bubby & Bean on Bloglovin'! Follow you via GFC as Geraldyne R Vinas. Thanks for the giveaway! I'm a follower and my favorite summer activity is stargazing! Hi!I'm a follower of your blog! I my favourite activity is eating icy treats! I could have sworn I was a follower but that is fixed and I am now! I celebrate summer by taking it easy in the pool! I subscribe to your blog via GFC. I like to celebrate summer by spending time with friends, enjoying the weather. My favorite way to spend my summer is having relaxed dinner parties when I'm not chipping away at homework. And, when it's too hot, jump in the cave spring! I followed Row House 14! LOVE them! Many thanks to you and your lovely sponsors for offering such a generous giveaway. My favorite way to celebrate summer? YARD SALES!! I like Bubby & Bean on Facebook - Cindy A. Best way to celebrate the summer is to discover new food trucks in the city. Its never as fun in the winter. Visited Blissoma and I love the stress-relief spray! The embroidery hoop earring holder at Earl Grey's shop is to die for! what a lovely and ingenious idea! Row House 14's postcard set with the pen and author's quotes are my favorite! My favorite thing to do on lazy summer weekends is barbecue! Sharing food and enjoying the outdoors with friends is the best. I'm going to try to make it happen every weekend. Thanks for the great giveaway! I like to celebrate summer by eating homemade ice cream. There's nothing quite like it! I really love the feather bridesmaids necklace from Little White Chapel! Following your tweet and tweeted it! Tweeted "Win a prize package worth $180 in Bubby & Bean's Summer Celebration GIVEAWAY! 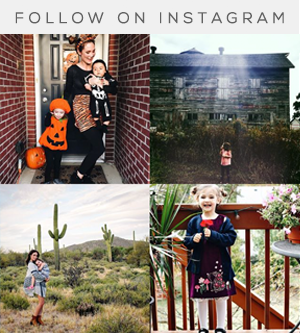 >> http://bit.ly/c6j9XX via @MotM_EcoFashion"
Following Bubby and Bean on Instagram!